Hi friends with latest topic on Google algorithm we are back again. This is the latest articles for all who are Google users…Make sure you implement as part of SEO in your website.. 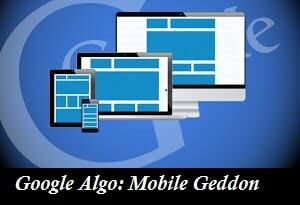 Mobile Geddon is a new algorithm which is being developed by the Google. It is a special algorithm which is designed especially for the cell phones and specially and exclusively it is being offered to the smart phones. As we look to smart phone so that they reduce the human activities and make our daily living more comfortable and they also helps in reducing the complexity of our day to day activities. Mobile Geddon is an algorithm implemented by the google.inc and this algorithm is going to be released on the 21st of April .this was the official release date of the mobile geddon and this official announcement was made by Mr. Chuck Price on the 9th march 2015. Most of the algorithms designed comes with vague or some or the other problem and if they do not have any problem then they may expire very soon or they may also get crashed and crack and they are also very prone to unwanted accidental loss or they can be easily hacked . Most of the algorithms which were also developed by the Google also contain some faults and errors hence they have designed a new algorithm which will help us in reducing all these complexities and make them work more simply and work more efficiently for the users. The mobile applications also lack in having the signal strength and they also have week signals so as to reduce all the different problems faced by the users they are introducing a mobile friendly application which will help in reducing all these complications faced and help the cell phones to be user and mobile friendly. Google have planned to construct a new application which is an algorithm which will be very much mobile friendly which will help the mobile phone users to optimize them and use them much more efficiently and these will also help the mobile users to understand the concepts of the mobile phones much better and they will also help to use them faster and in a easier way. This special algorithm was definitely a huge plan but it did not require much more expensive equipments they were designed on the regular web designer application in the normal computer machine. “Mobile-only” applications are much easier and they have very less complexities as compared to the computer applications. This algorithm has one of the most special and a unique feature that it is a lifetime cost which means that once we have purchased it does not requires any maintenance hence forth. And one more efficient feature of this application is that we don’t need to search for the latest updates it is automatically being updated and we also do not need to look for the latest versions on the new sites it is available and we get updated on the application itself o which we have installed the application. It’s one special feature is the search engine optimization due to which you can be connected to the applications you want to reach faster and in a easier way you don’t need to visit different websites it is a all in one application. This application will prove its best in the coming days and will also help in reducing all the complexities faced during using a smart phone and they will make the use of all applications faster and easier. Make your web design mobile responsive. Make content very much transparent and unique. Make use of keywords to increase search volume.